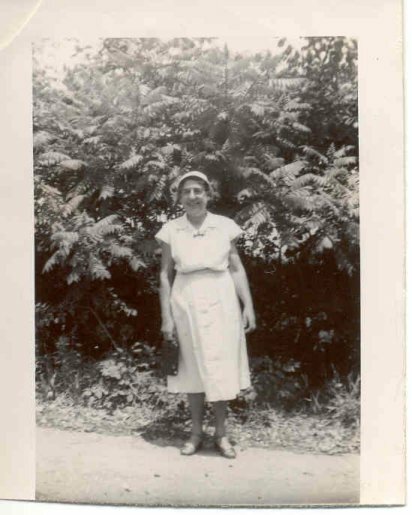 The photos included here are from the collection of Florence LeBoeuf Martel (1911 - 1992). Florence was Lydia LeBoeuf Mahoney's younger sister. The original captions on each photo are in italics and notes are included with additional information below the captions. 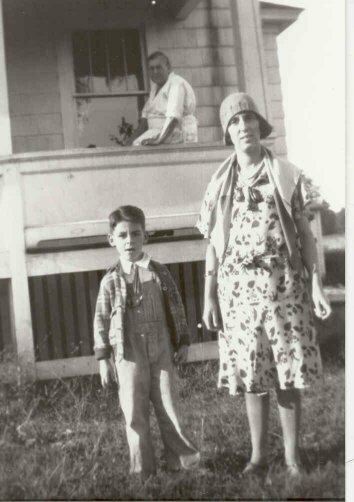 Marie Lydia LeBoeuf was born on February 17, 1896 and her brother Wilfred was born on July 23, 1898. 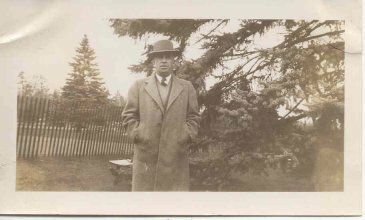 This picture was probably taken at the family home on Penn Street in Fall River, Massachusetts. 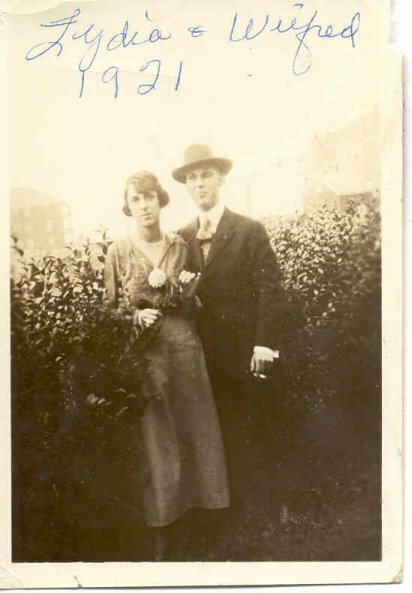 Lydia married James H. Mahoney in 1923. This is one of Lydia's brothers. Judging by the date, it might be Wilfred, who was born in 1898. 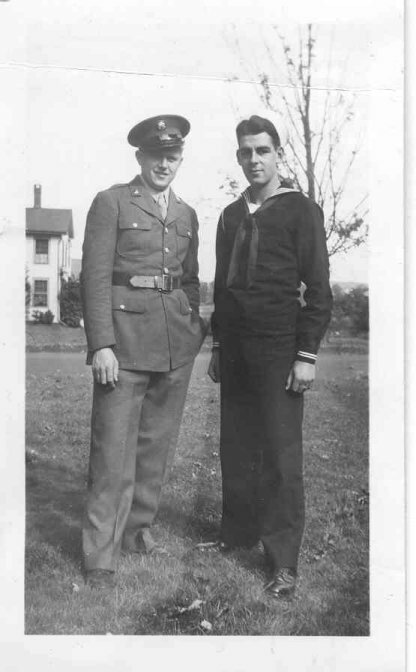 Jim was introduced to Lydia by one of her brothers whom he met in the service. Master James Earl Mahoney age 2 years and 8 months. 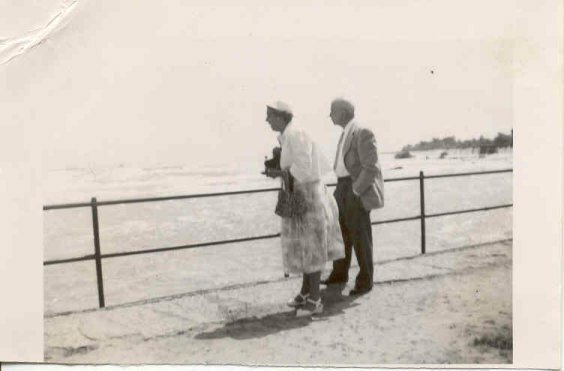 Photo taken at Pleasure Beach June 26, 1927. 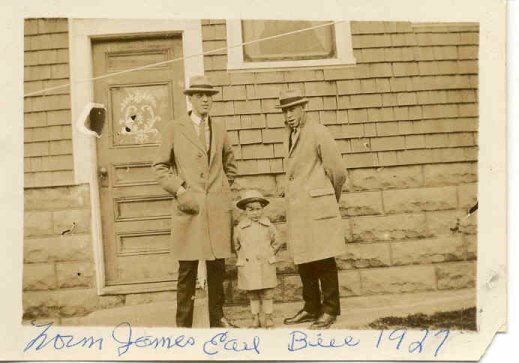 Norm, James Earl, Bill 1927. This is our home in Fall River (next door to where Alice lived). This is the back of the house. Norbert married Amy Brock and they did not have children. Bill's given name was Antonio. He married Jeannette Courville and is Donald LeBoeuf's father. 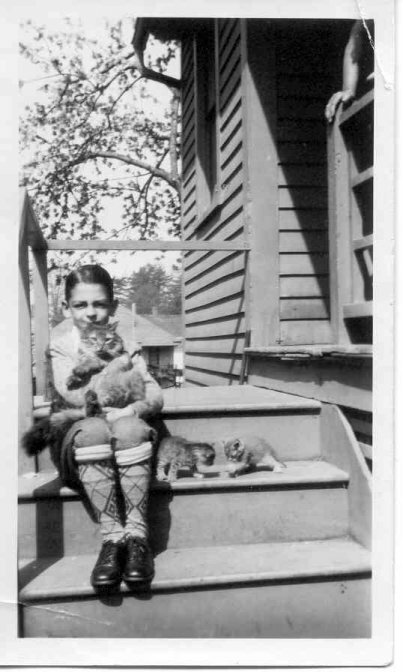 Dad and some of his cats. 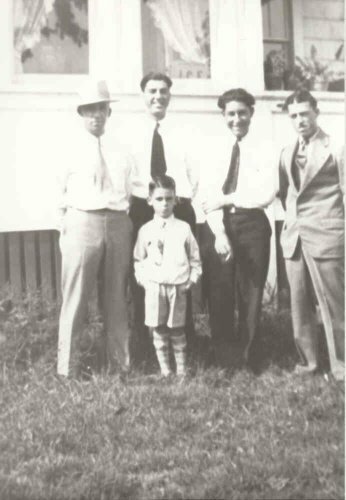 Jim Mahoney, Norm, Ray, Bill & James E. Russell Street. John was 16 years old. 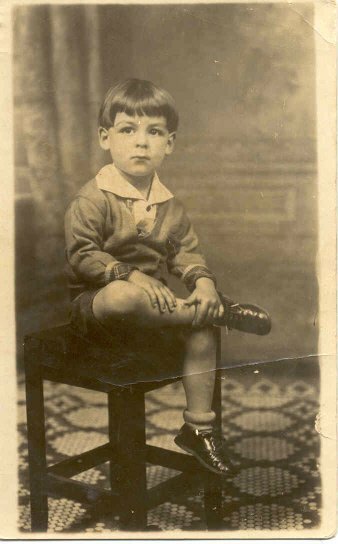 Ray's name was Jean Raymond and he was also called John. He married Florence Granbinski and his two sons are David and John. 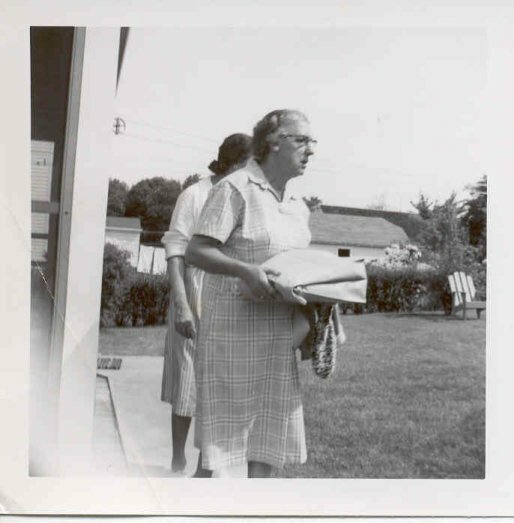 Mother on porch. James E. and Lydia 1931 Jim about 6 years old. p.s. and Aunt Cough!! On the proch is Lydia's mother, Georgianna Lauzon LeBoeuf (1869 - 1944). I have no idea what the "aunt cough" means. James Earl and friend Eddie. Don't you think our sailor boy look good? Ed Bankoski and Dad were friends since they were 3 years old. 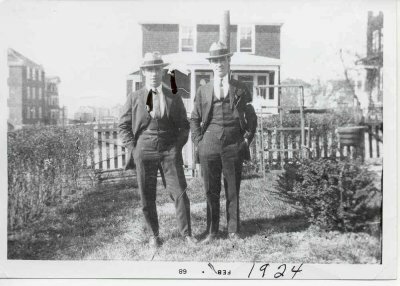 The Bankoski family owned the house at 177 Ridge Road. They lived on the upper floors and the Mahoney's lived on the first floor. Lydia Mahoney. Probably her sister Florence behind her. This was taken in back of 40 Sears Street. Remember the Adirondack chairs? 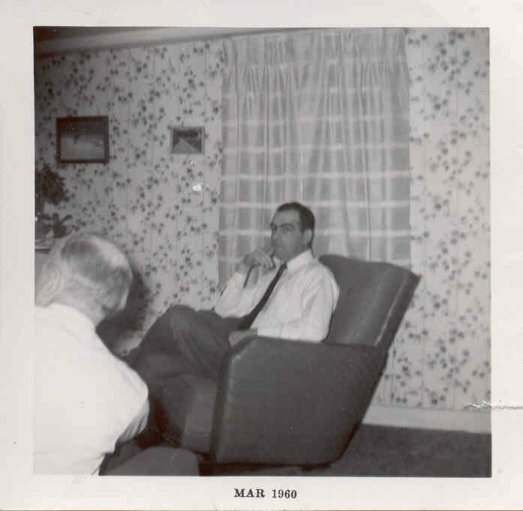 Jim Mahoney - New Year's Eve 1959 at the Martel's house on East Main Street Middletown, CT.
New Year's Eve 1959 at the Martel's. 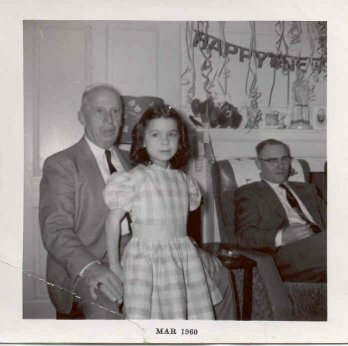 Jim Mahoney, Madge Mahoney (age 7), and Joe Martel (Florence's husband). Ann and Madeline are their two daughters.